Fertilizers and pesticides are commonplace in US agriculture, and production would not be where it is today without them. At least three times each day, most humans and many animals consume food produced by the agricultural sector. Our cotton and natural fiber clothing are almost all produced via agriculture. Our fuels are enhanced by biofuels. While some negative effects come along with fertilizer and pesticide use, agriculture in the US and globally cannot achieve production in sufficient quantities for a population forecast to reach 10 billion by 2050 without it. Nitrogen, phosphate, and potash are essential in the production of crops used for human consumption, animal feed, fiber, and fuel. Applied annually, most of these nutrients are absorbed by the crop. Fertilizers and pesticides have a long history of use in the US and are considered important components of modern farming. Fertilizers are used to supply crops with essential nutrients and to help replenish key elements to the soil once a crop has extracted them during the growth process. U.S. crop producers use a variety of practices to reduce yield losses to pests. For example, chemical pesticides, including herbicides, insecticides, and fungicides, are usually applied by spraying the fields. Pesticides protect plants from weeds, insect damage, and diseases. Herbicides control grass and broadleaf weeds that steal sunlight, water, and nutrients from our desired crops. The ultimate goal of fertilizer and pesticide use is to produce the best crop possible while minimizing environmental harm. Research and advancements in technology are making these goals a reality. Nearly all inputs can now be more precisely applied than ever before. This capacity will continue to improve in the future. 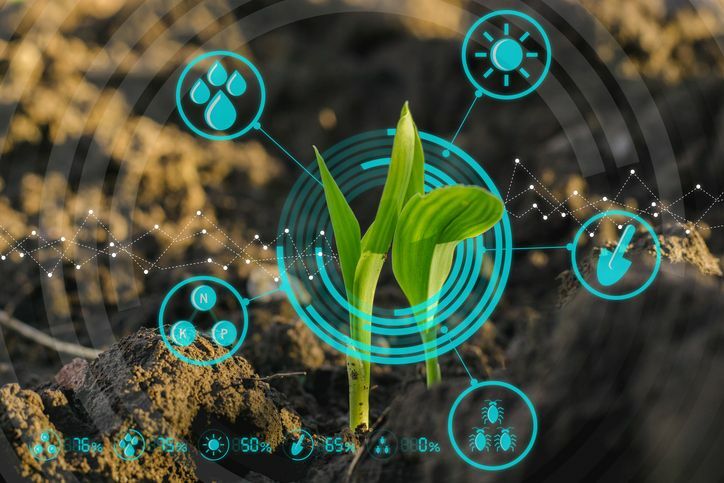 Producers may have the capability to manage individual plants across large agricultural fields in a real-time, automated fashion. These advancements will help ensure proper stewardship of agriculture inputs that help feed, clothe, and fuel a rapidly growing human population. This entry was posted in Pesticide and tagged Agriculture, Pest Management, Pest News, Pesticide, Pesticide Application, Pesticide applicators.